Well, what better way to start off my honeymoon travel blog with answering (my own) questions about my honeymoon? Our honeymoon was in May 2012, and we went to Bali and Vietnam. Specifically, we stayed in four different locations: Ubud and Nusa Dua in Bali, then in Hoi An and on an island off of Nha Trang in Vietnam. 16 nights: 4 nights at each resort. Oh my god, it was difficult. Our biggest priorities were: 1) a place neither of us had already been to, 2) gorgeous beaches, 3) a little bit of culture (i.e. no Sandals Resorts, thankyouverymuch), and 4) far, far away. After buying Lonely Planet books for a half dozen countries (including Venezuela, Mauritius, and Belize), we finally narrowed it down to Southeast Asia. Why? Because we hadn’t been there together before (although I’d been to Thailand already), our money would go a lot further, and it was the right time of year to travel there. I was pretty set on Bali from the get-go (and no, I have neither seen the movie nor read the book Eat, Pray, Love), but we wanted to go somewhere else, too. This is where our travel agent helped us out the most. After asking her about combining Bali with the Philippines or Malaysia, the agent recommended Vietnam, which hadn’t even crossed our minds as a honeymoon destination. 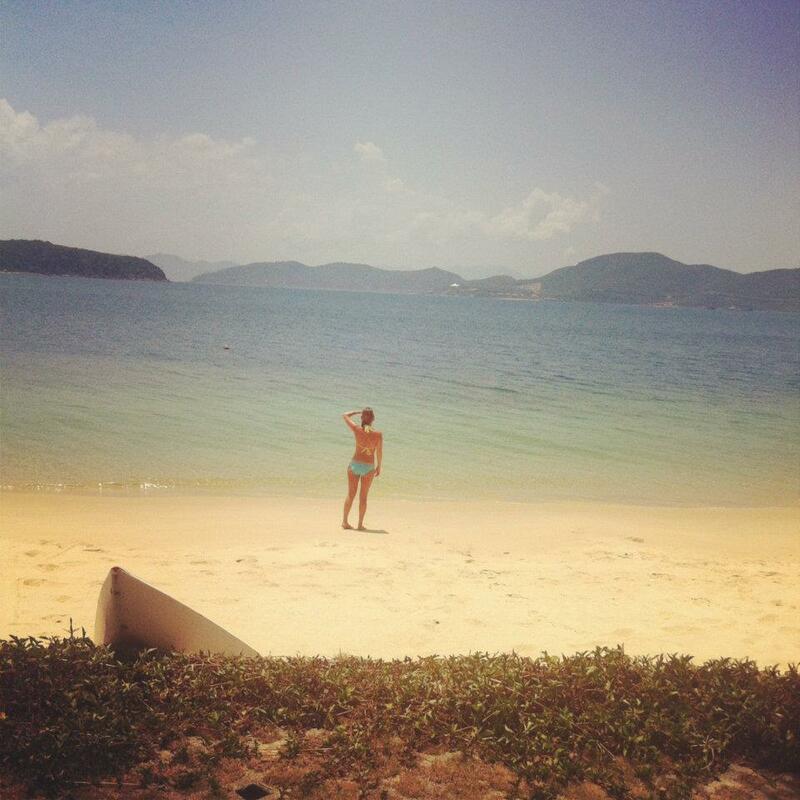 I had no idea that their beaches were some of the best in all of Asia. Okay, two things. 1) Having all of the transportation arranged in advance. We had drivers who met us promptly at every airport and every hotel, and just not having to think twice about getting anywhere felt like a luxury in and of itself. 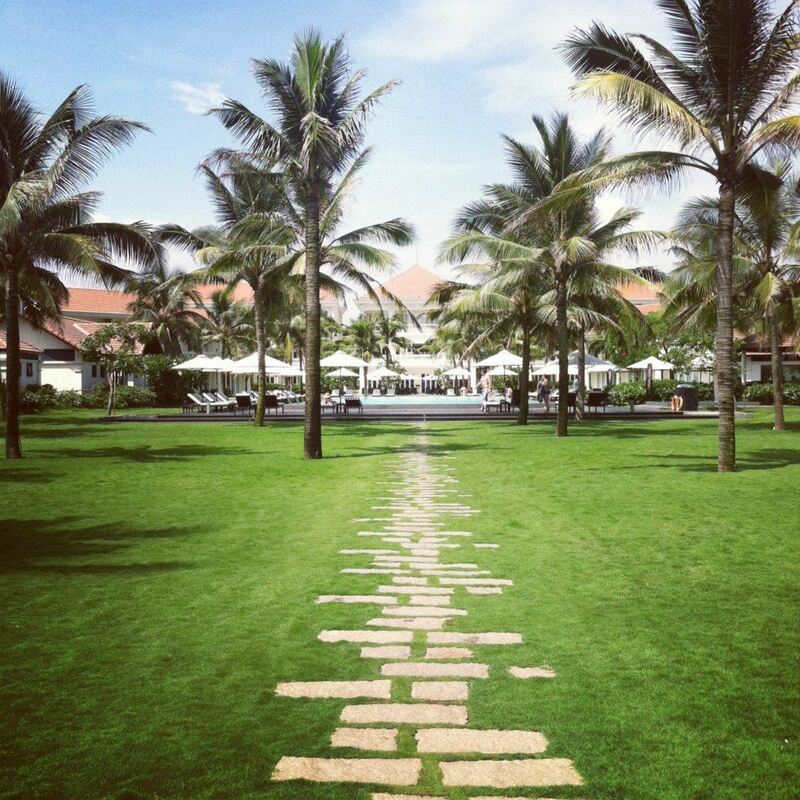 2) Staying at Hoi An Boutique Resort in Hoi An, Vietnam. The grounds were gorgeous, our villa was spacious, the food was delicious, the pool was clean, it had a private beach… I could go on and on. The resort also had a shuttle service to and from the main town of Hoi An so we took advantage of that every night for dinner. Our favorite restaurant was called Morning Glory, and it was so much better than any fancy Vietnamese food that San Francisco has to offer. (And SF has some pretty incredible Vietnamese food. I’m looking at you, Slanted Door.) Not to mention, a full dinner with multiple drinks only set us back $25. 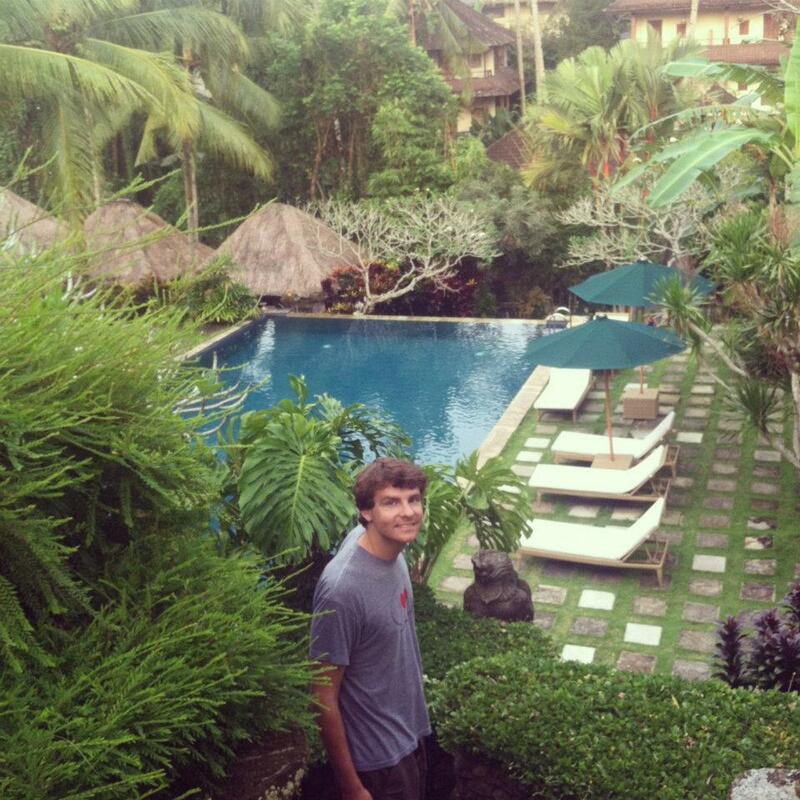 I wish we stayed in Seminyak, Bali instead of Nusa Dua. Seminyak was just so much more hip and vibrant than Nusa Dua. We hired a travel agent to 1) help us decide where to go, 2) book our flights within Asia, 3) arrange transportation to/from airports and hotels, and 4) book our hotels. 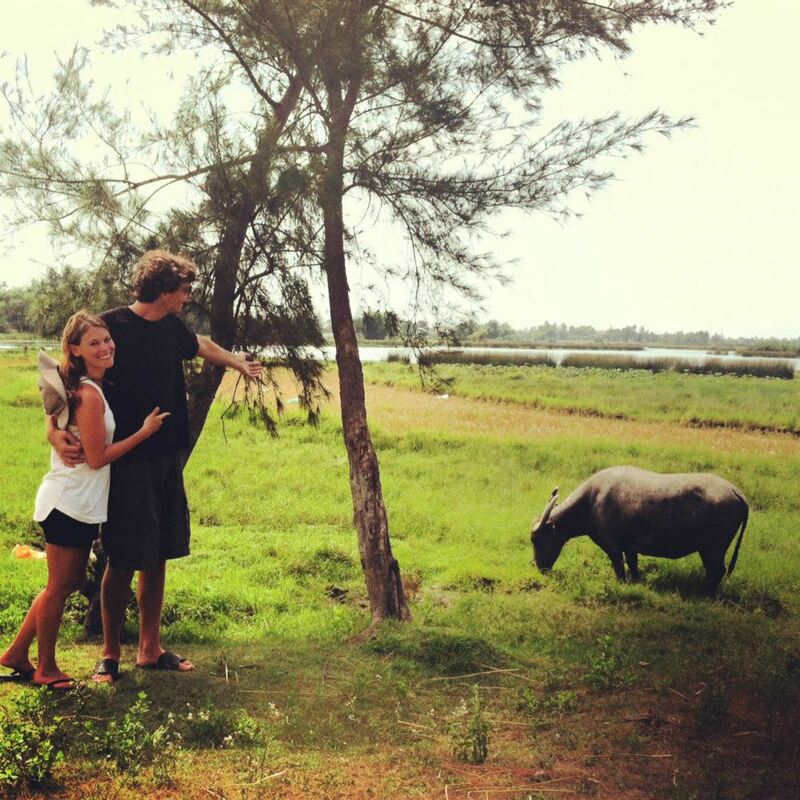 We booked our own airfare to Bali and home from Vietnam through Orbitz. We didn’t book any tours or anything like that in advance, but I did contact my friends who had already been to Bali and Vietnam for recommendations. Southeast Asia is relatively inexpensive for a honeymoon destination, so the price for most things was totally reasonable. I mean, when massages are just $15, why not treat yourself to one every day? Also, our most expensive meal in Jimbaran Bay (which is a must, if you go to Bali) was a seafood feast that cost us only $50. Although it’s hard to pinpoint a financial splurge, my husband thinks that the biggest indulgence was just being away for 16 nights. We’re going to Ireland for a wedding in June 2013, so hopefully we’ll get to go to either Scotland or Portugal, too. And then we’re already thinking about doing another Scandinavian trip in 2014 to see the Northern Lights in Norway.